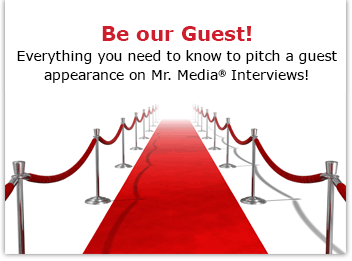 Mr. Media is recorded live before a studio audience of men with some pretty crazy ideas about where they need plastic surgery… in the new new media capital of the world… St. Petersburg, Florida! 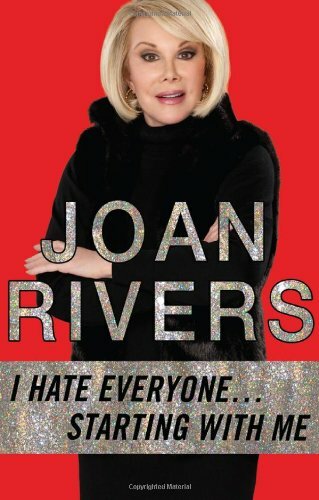 Order ‘I Hate Everyone…Starting with Me’ by Joan Rivers from Amazon.com by clicking on the book cover above! (Joan Rivers died on September 4, 2014 following complications from vocal chord surgery. She was 81. This interview was recorded by telephone in January 2011.) Legendary Joan Rivers is the only multimillionaire who can admit she got a reality TV show out of moving cross-country to live with her millionaire daughter, and still leave you laughing about the absurdity of it all. But that’s the 77-year-old showbiz icon’s stock in trade: from her award-winning, emotionally raw documentary Joan Rivers: A Piece of Work, to the exhaustive amount of standup gigs she insists on booking every year. For more than five decades, Joan Alexandra Molinsky Sanger Rosenberg has mined the most painful moments of her life and turned them into entertainment, making herself bulletproof to shame or criticism in the process. You can LISTEN to this interview with comedian JOAN RIVERS by clicking the audio player above! Fans can see her take it to another level, documenting the process of leaving her beloved New York for life in Los Angeles with daughter and longtime TV partner Melissa Rivers for the WE cable channel show Joan & Melissa: Joan Knows Best? The show was recently renewed for a second season. My conversation with her started on a familiar note: The controversy kicked off when the Fox News Channel’s Fox and Friends morning show dumped her as a guest after she criticized conservative hero Sarah Palin (one of the show’s producers has since said it was a mistake and she should have been rescheduled; cynics smell a publicity stunt coming a mile away). Order ‘Joan Rivers: A Piece of Work [Blu-ray]’ from Amazon.com by clicking on the DVD cover above!